are impeccably decorated and furnished. 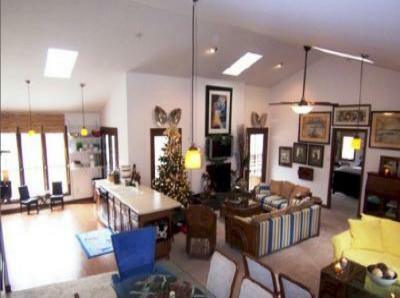 Features large living are with vaulted ceiling. Central air with ceiling fans in bedrooms. Lowes Motor Speedway - The official site of Lowes Motor Speedway. Race Shop Tours - Visit 23 race shops in Concord and Mooresville. Race - Your guide to NASCAR race shops. - Find information on local golf and country clubs. open for tasting and tours. Carowinds - Theme park in Charlotte. Celebration Station - America's location for family, food and fun. - Find out everything going on in the Charlotte area. Caverns - See inside a mountain...an underground adventure awaits! - Find things to do in the Lake Norman area. a trip back into the Old West. Call us now to make an appointment 704.662.0946!! 150, left onto Williamson Road. Turn right onto Joe V. Knox Avenue. Ahlara is located 1/4 mile on the left, across from Lowe’s YMCA. Approaching from the south on I-77 (from Charlotte), take exit 33. Hey, it is their new shop here in Mooresville. and Richards suspended in air! Michael Waltrip's Race World to your tour.